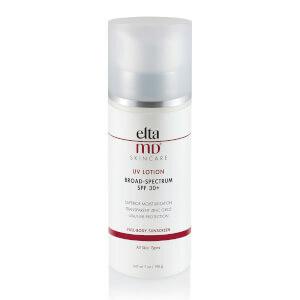 Elta MD UV Facial SPF 30+ is an elegant, lightweight and hydrating sunscreen that protects from both UVA and UVB damage without clogging your pores or leaving a greasy finish. It is formulated to be used either alone or under your makeup to effectively shield your skin from harmful UV rays. This sunscreen is lightweight, is non-greasy and makeup applies well over it. I won't use any other sunscreen except Elta MD. It's non-greasy and highly moisturizing. I just tried the tinted version and love it too. I hope this product is never discontinued! Fantastic sunscreen - very lightweight and applies easily. I wear it under makeup and it does not clog my pores. Definitely recommend. A little bit rich for me. I think Spf 45 would be better for me but this one is also not bad to use in the winter. 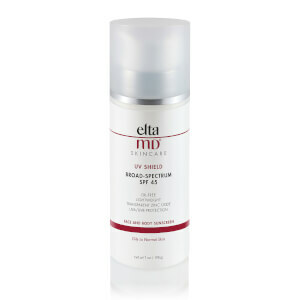 I have used Elta M D before but not this one for the face. It is really great. I love the way it goes on and feels good and not greasy. I love this product! It's not greasy like a lot of sunscreens are. I use it under my moisturizer and some days I don't even feel like I need moisturizer at all. Would definitely recommend. This is my go-to sunscreen! It's the only sunscreen I use because it's light weight, non greasy and very moisturizing. I recently tried the tinted version and love it, too. So hard to find a good sunscreen you can trust and feel confident wearing. This is it! I use a sheer foundation so how sunscreen performs cosmetically is as important to me as its SPF and ingredients. Okay, so it's not brimming with antioxidants, ceramides, etc (-1 star) but is fragrance-free and has small amounts of non-SPF healthy ingredients, and my serum and moisturizer already supply the good stuff this sunscreen lacks. This feels and applies like a light moisturizer and reflects a healthy glow, compared to either the shiny or dry sheen some can leave. 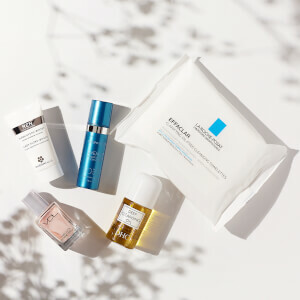 And it goes under a sheer foundation wonderfully, allowing your healthy glow to shine through even when the SPF part has worn off a few hours later. I use a Colorescience SPF powder to stay protected the rest of the day. Oh, and this is sold in a tube! If it was available only in a jar, I'd eliminate it from the running as a potential go-to sunscreen. Love the sun protection, but is a little irritating to my eyes and I'm very careful not to apply to close to the eyes. Overall though, this is a wonderful sunscreen. Very satisfied with this product. Love the texture. Use it daily.